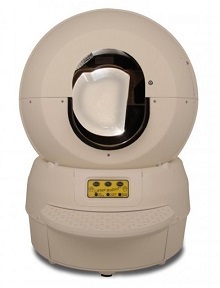 (4.5/5) The Litter Robot II Bubble it’s an improvement over the Classic LRII version because it adds a mounted skylight-bubble type window on the back of the Globe which gives an extra 3” width from front to back, accommodating larger cats and allowing natural light into the chamber area. 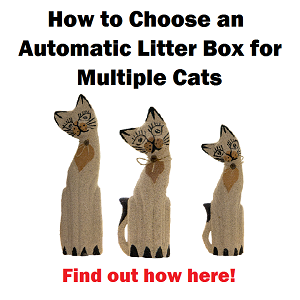 This automatic litter box allows you to forget about scooping your cat litter box and it works excellent with single or multiple-cat households. The unit has a special sensor which detects the cat’s weight when the pet is entering the Litter Robot and it activates a 7-minute countdown to start a cleaning cycle when the cat leaves the litter box. The Bubble version is perfect for medium to large sized cats and for cats that don’t like a dark-enclosed type of litter boxes. The unit operates at 12 volts and includes AC/DC adapter. The litter area measures 14? across filled at maximum capacity. 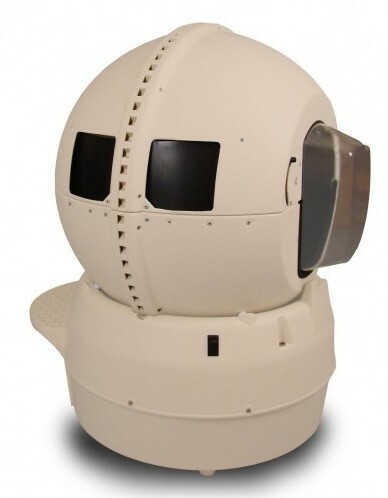 HOW DOES THE LRII BUBBLE UNIT WORK? The Litter Robot Bubble has a weight-sensitive sensor which activates on the entry step of the unit when your cat enters the litter box. When the cat does its business and leaves the unit a 7-minute countdown starts and on minute “zero” the cleaning cycle begins. The Globe starts rotating, sifting clean litter from clumps and dumping the waste into a bottom drawer for later disposal. 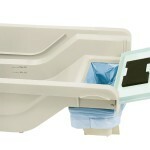 The waste drawer contains a carbon filter to help control odor. The Litter Robot Bubble works with clumping cat litter and you can place any plastic bag in the drawer to contain the waste. If you use trash bags the best size is 13 gallon, although 8 gallon works fine as well. The Litter Robot Bubble’s sensor is a weight-sensitive switch located under the waste tray. When the cat steps on the step of the unit, this sensor adds this weight and triggers a 7-minute countdown delay for a cleaning cycle as soon as the cat leaves the machine. The sensor works with a minimum of 5 pounds weight (adjustable to more or less sensitive) and this is the reason why it cannot be used by kittens. This sensing system has changed in the new version of the Litter Robot III Open Air in which the cat does not need to step on the step to activate the weight addition. If you think your cat will jump instead of stepping on the step, you may want to check more information about this new unit. On this video you can see how the Globe rotates and filters litter and level of noise when operating. IS THE BUBBLE UNIT SAFE FOR CATS? The Globe won’t rotate if the cat is on the litter area because the 7-minute countdown won’t be triggered if the sensor detects that the “added” weight is still on the litter box, so it will never be unsafe for your cat. If the cat re-enters or another cat uses the Litter Robot during the 7-minute countdown, the machine will reset automatically for another 7 minutes. If the cat enters the unit during the cleaning cycle; the Globe will stop rotating and it will wait 15 seconds to resume the cycle. After 15 seconds if the cat is still on the unit, the Globe won’t rotate. With the new Litter Robot III Open Air, you can adjust the wait time for a cleaning cycle to start and other interesting features that you may want to check. See a review for this new version here. WHAT ARE THE PROS AND CONS OF LITTER ROBOT BUBBLE? Easy to set-up, it comes assembled. Unique system takes care of scooping, you won’t scoop anymore. Skylight-bubble type window gives enough room for cats larger than 15-lbs. 7 minutes before cleaning cycle helps to control odors and allows waste not to be sitting with clean litter too long. The unit’s dimension is big. It does not work automatically with kittens. Upper inside of globe gets in contact with clumps when rotating. A long haired cat or a big sized cat may get some of the waste on their fur. Some cats jump into the litter box and the sensor mechanism does not get activated. Regarding the unit only working well on hard leveled floors. The new version has a self adjusted sensor, so it doesn’t need to be on firm floors to work properly. About the waste drawer not being sealed. The new LR has a sealed waste drawer, you won’t even have any smell in your house. When the Bubble rotates and gets some feces on the Globe top so your cat may end up with feces on its fur. The new Litter Robot Open Air features a special part that avoids this. The fact that there is a bad smell when opening the drawer. This won’t happen because the new unit features a full drawer indicator so it won’t get too loaded. About some type of cats that don’t activate the sensor when entering the unit. This won’t happen because the new model has the sensor UNDER THE GLOBE, not under the step. The fact that the control panel can get damaged if in contact with water. The new unit features a control panel on the side, away from the Globe and litter. 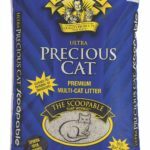 Current customers highly recommend Dr. Elsey’s Precious Cat Ultra Clumping Cat litter as the best cat litter to use with the Litter Robot Bubble. This litter clumps like cement with no residues of waste on the globe. For better odor control you can add Arm & Hammer Cat Litter Deodorizer with baking soda. 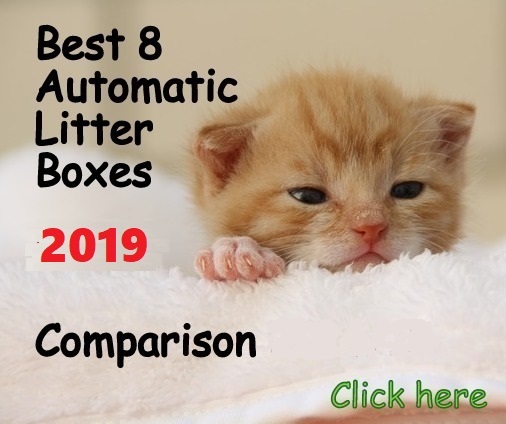 Litters that do not work well with the Litter-Robot are the non-clumping litters, the absorbent clay type, newspaper based litters and feline pine. Make sure to buy a litter mat to contain litter spillage. Make sure to fill the litter box often if you have more than one cat. This will prevent waste from getting stuck on the Globe. 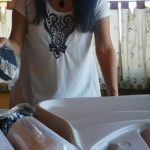 Wash the Globe once a month and change carbon filter once a month or every other month, depending on how much your cat or cats use the Litter Robot Bubble. Make sure to protect the control panel with a cling wrap. If your cat likes to jump get a ramp to make sure he will use the step of the unit to activate the weight sensor mechanism. It is extremely important to keep the waste drawer not full to the top. If you don’t empty the drawer often (once a week at least with one cat) the overfilled drawer will block the rotating mechanism. Overfilling the litter area can block the Globe rotation too. If you use cheap clumping litter or if you let the litter box go too low on cat litter, the unit will work but it won’t perform optimally. If using a good premium clumping cat litter and topping off the litter area when needed, the waste won’t stick on the globe and the rotating mechanism won’t create dust either, as some customers complain. Because of their lightweight, you cannot use the Litter Robot with kittens in automatic mode. If used with kittens, the Litter Robot Bubble has to be used manually, this means you have to turn on the machine to start a cleaning cycle and turn it off to finish its operation. 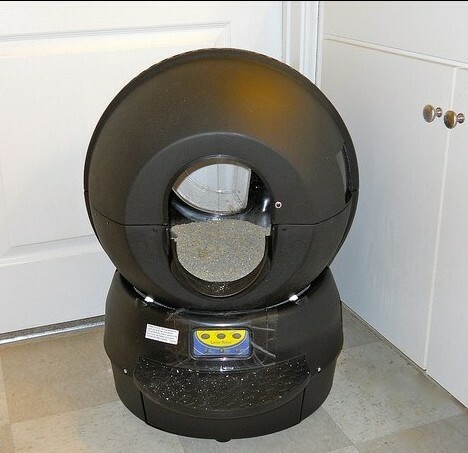 Litter Robot Bubble Unit is an excellent automatic cat litter box that takes care efficiently of scooping your cat litter box so you don’t have to think about that task anymore. We agree that all automatic litter boxes have Pros and Cons but on the final balance, the Litter Robot Bubble takes good care of your cat litter box. The Bubble version is even better because it adds 3” to the chamber depth, which helps to accommodate larger cats and it allows natural light into the litter area. If your cat is rather large, from 14 lbs to 20 lbs. 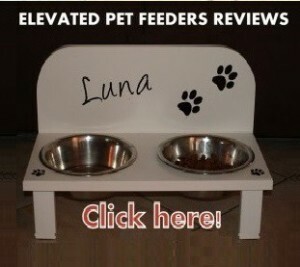 If your pet is old or inflexible to adopt to new systems. 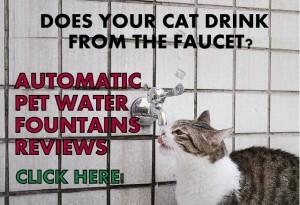 If you don’t want your cat to have contact with waste. 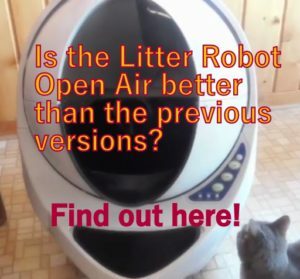 Check more details of the Litter Robot Bubble here. I was wondering Why Can’t there be a rebot automatic kitty litter extra large that is made for cats over 20 Ibs? and multi cats. 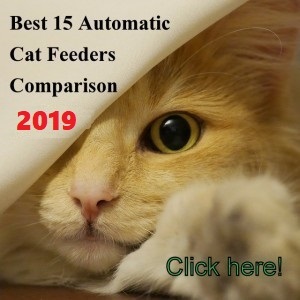 It would be nice because I own 5 cats and would like to get this automatic kitty litter box but it would cost me close to $500.00 for 2 of the rebots that you say can’t fit my 25 ibs cat in the rebot forthe price it so cover any size cat? I’, sure there is many that want this rebot to be bigger for the biger cat and keep up with the multi cats in 1 home. Hello Ann, there are some big cats that adapt to the Litter Robot leaving the head outside when doing their busines but some cats don’t adapt to an area that does not leave them enough room for their bodies and little extra. 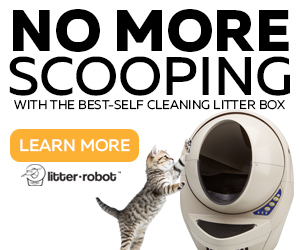 In my opinion it would be a risky idea to test the Litter Robot with a big cat over 20 lbs. because if it works it would be great but if it doesn’t you will need to return the item with all the hassle that implies. You are right about the need of a unit for bigger cats. 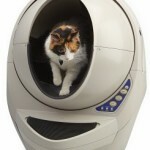 Update: Hello Ann, there is a new version, the Litter Robot III designed to accomodate large cats up to 20 lbs!